Yep, it's time for another collection of new and noteworthy watch releases. There is some pretty interesting stuff available for order or pre-order right now. 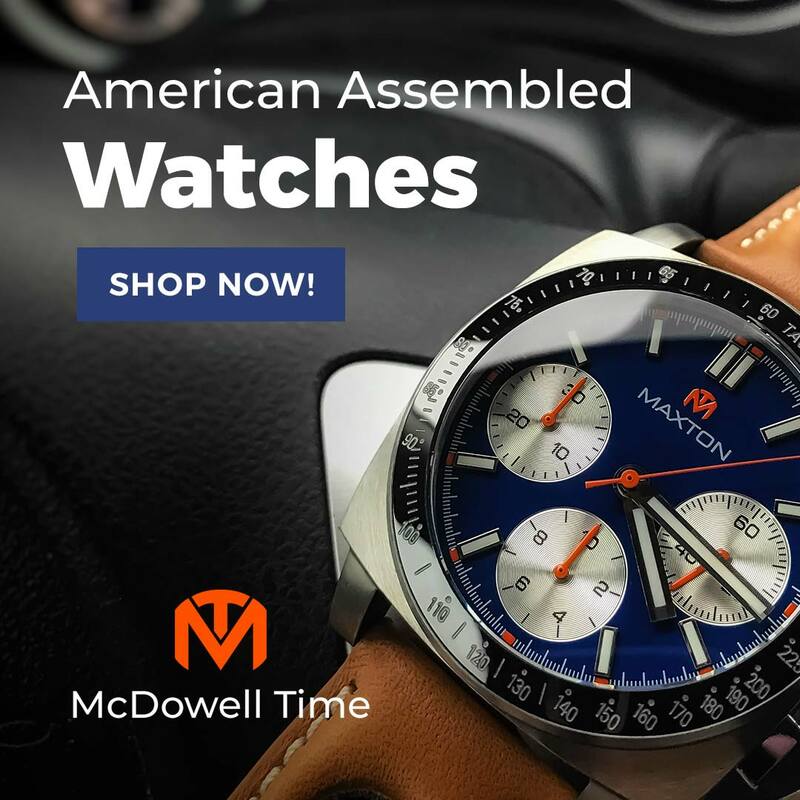 Since my last roundup, I've featured new releases from Manchester Watch Works (use TIMEBUM2017 for 15% off), BOLDR, Nodus, Trintec, NTH (use TIMEBUM for $25 off), McDowell Time, Marloe, Vario, and Geckota. Today, I've got a whole slew of new ones for your consideration. These are the watches that have caught my eye for reasons good and ill. Mostly good. Mostly. 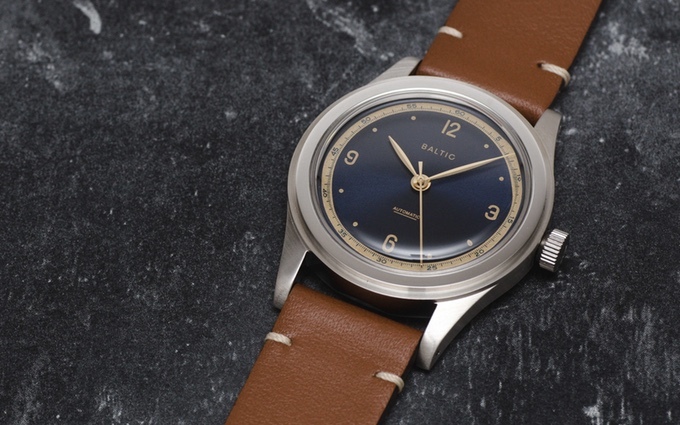 The new Parisian microbrand, Baltic, has taken to Kickstarter with a pair of 38mm mechanical watches. I think the world needs more watches like this and as of today, at least 850 backers agree. The watches feature 1940's inspired step cases, domed acrylic crystals, and tastefully subdued dial designs. The Bicompax 001 uses the SeaGull ST19 hand winding chronograph while the HMS 001 has a Miyota 821 three-hand automatic. Rewards are going fast, but you can still get an HMS for $317 USD and a Bicompax for $507. The campaign ends May 17, 2017. From Australia, we have Erroyl's latest model, the Duke. This classy aviator is the company's first Swiss made watch. It has a 39mm case, ETA 2824-2 automatic movement, sapphire crystal, BWG9 SuperLuminova, a jubilee bracelet, and Erroyl's signature textured dial. The watch will cost $999 AUD when stocked, but early buyers can order one for $799 AUD ($602 USD) through April 30. Early order pricing will increase in May and again in June. 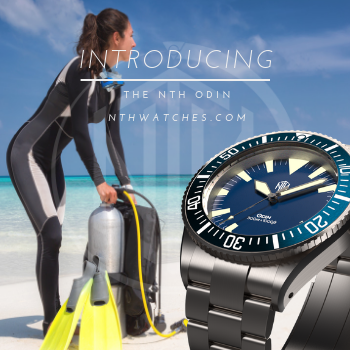 The New Jersey natives behind Irreantum have returned from a long hiatus to release a new and improved version of the original Magellan diver's watch. 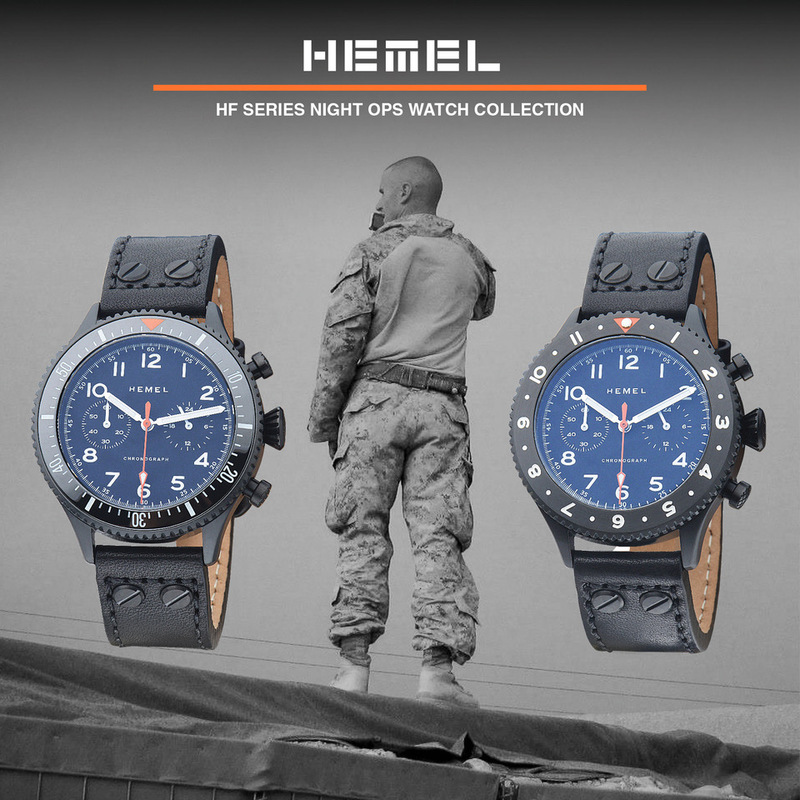 It features a 45mm bronze case, sapphire crystal, C3 SuperLuminova, applied markers, an awesome sawtooth bezel, and a 600m water resistance rating. Inside, is the reliable Swiss ETA 2824-2 automatic. Sadly, it looks like this one is struggling, showing only 7 backers with 15 days to go. I suspect the $800 price tag might be a factor here, but it seems a shame. I hope this one finds its funding in another manner. 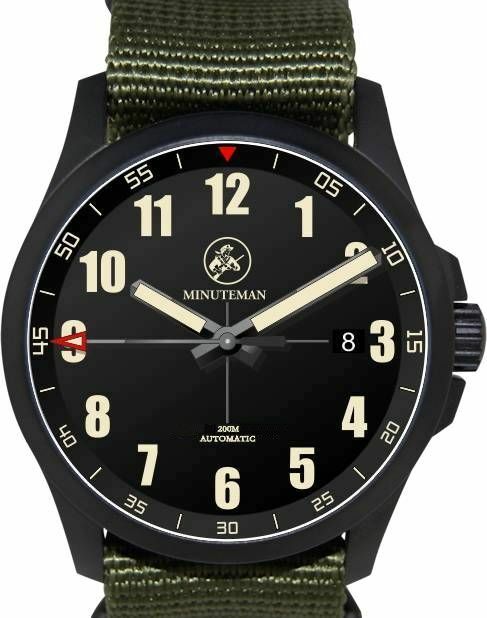 Illinois watchmaker, Minuteman, just debuted their Alpha and Bravo field watches. Their 42mm, black DLC cases are water resistant to 200m and feature double-domed, AR coated sapphire crystals and screw-down crowns. 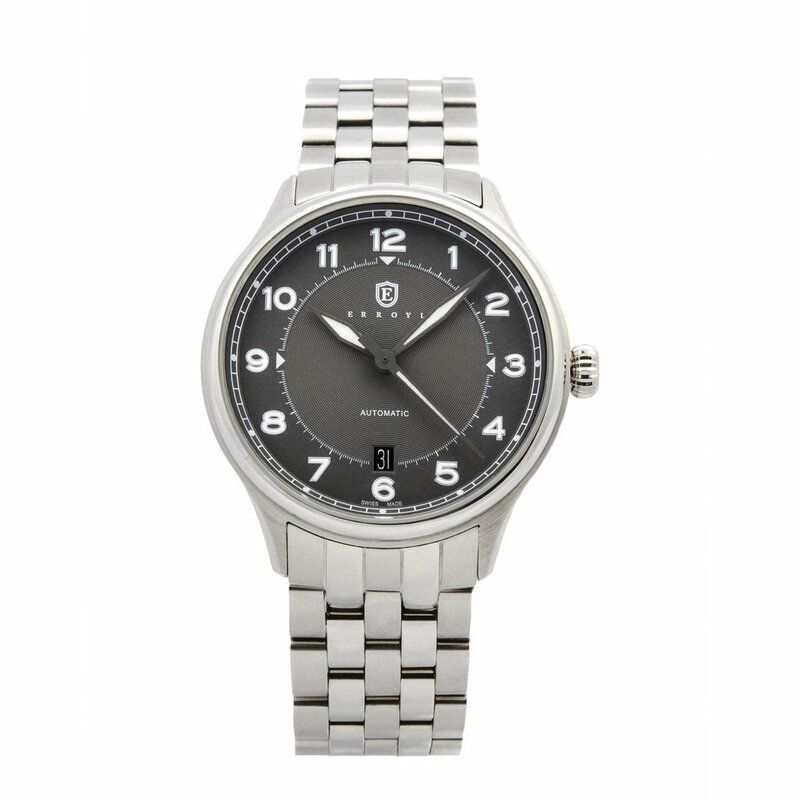 Inside, you will find a smooth and reliable Miyota 9015 automatic. The watches ship on nylon NATO straps. Minuteman assembles them right here in the USA. You can place your pre-order directly through their site for $430 USD ($200 off full price) and know that 25% will go to charities benefitting veterans and their families. 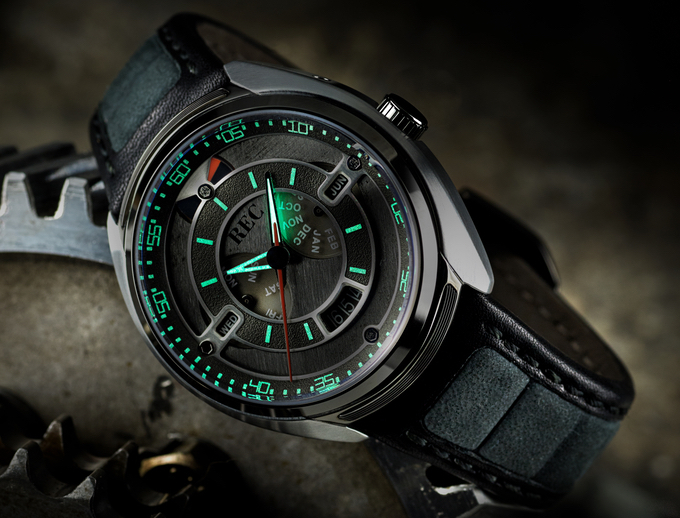 Copenhagen's REC turns salvaged cars into unique timepieces. I reviewed the Morris Mascot (Danish Mini) based MK I back in 2014. They followed that act with the Mini Minimalist, and the P-51 made from a 1964 Ford Mustang. With the 901, they have recycled a Porsche 911. True to form, the watch channels the essence of its donor without looking like a caricature. The dashboard dial and "air-cooled" vents on the 44mm case are cool, but the Fuchs alloy case back really steals the show. 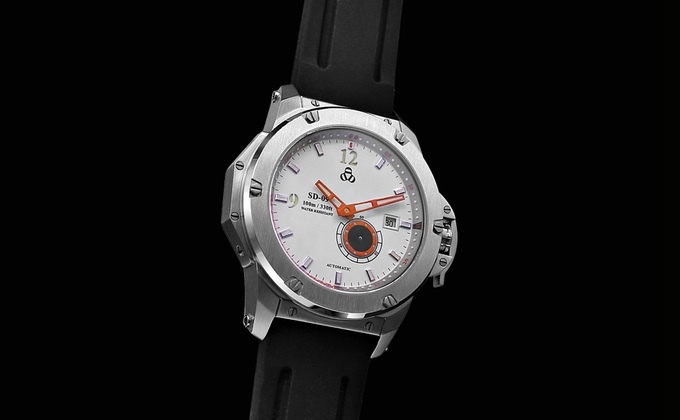 The 901 has a sapphire crystal, a sports seat styled strap, 100m water resistance, and a Miyota 9100 automatic with power reserve. There are only 8 days left in the campaign and early rewards are long gone, but you still get one for about $995 USD. Regia has been busy turning out an impressive array of custom and colorful dials for their Armare Regatta watches, but they have taken some time to create an all-new model, the Armour Fish. This 50mm brute has a lugless puck style case, 2:00 crown, and removable shroud. 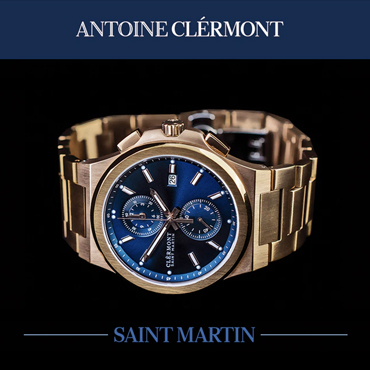 It is equipped with a domed sapphire crystal, helium release valve, C3 lume, and a Seiko NH35 automatic movement. Water resistance is 600m. 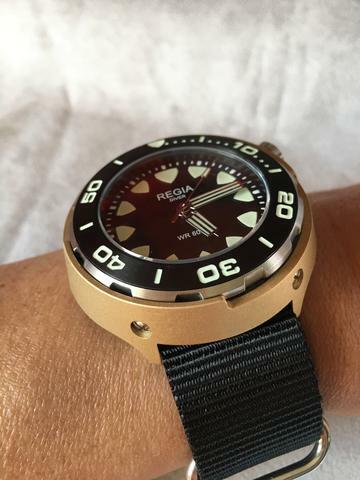 Each Regia diver will come with an extra shroud and a heavy 24mm nylon NATO strap. This is a lot of watch. I see elements of Seiko SBDX "Emperor Tuna" and Stevral Megalodon in here, and I am curious to see what it is like in person. You can pre-order directly from Regia Timepieces now for $420 USD, $100 off expected retail. 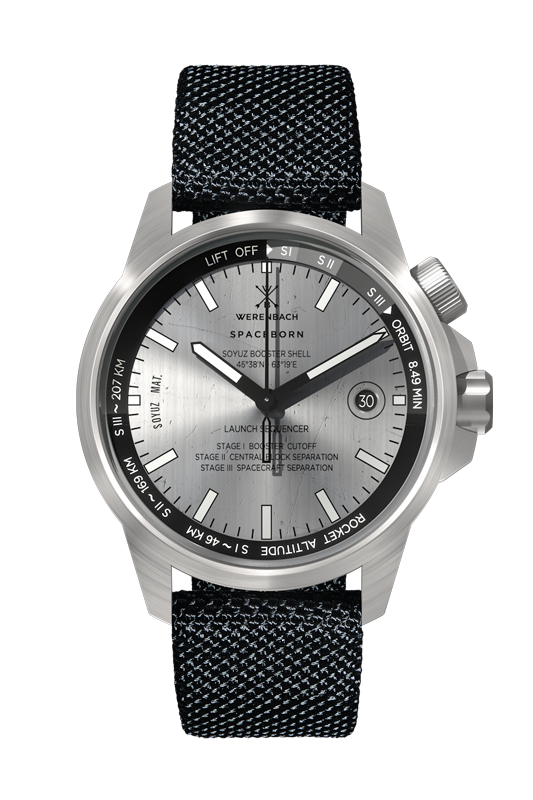 The SD-09 Spacecraft Watch was inspired by science fiction and sports a UFO sub dial. It is 42mm across, runs a Miyota 8218 automatic, has a sapphire crystal, and looks... well... not really futuristic at all. I just don't see anything spacey about a Panerai-style crown lock and about a dozen exposed screws. These strike me as rather old-fashioned and not even in the Flash Gordon retro-futuristic sense. The watch closing in on its funding goal so maybe it's just me, but I just don't get this one. If it grabs you, then head over to Kickstarter and jump on the $232 USD early bird. We've seen some interesting items from London's TC-9, like the Brass Pilot and the bronze turtle case 1970's Diver. 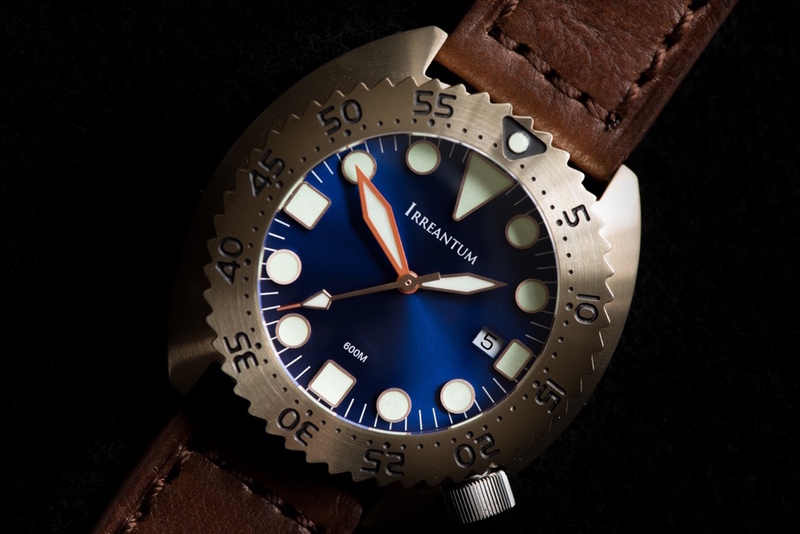 Their latest, the Navy Watch, is a novel take on the Panerai Radiomir, made from what appears to be the same distinctively red bronze used on their 1950's and 1970's Divers. It is 42mm wide and equipped with front and rear sapphire crystals, a Seiko NH35A automatic, and is rated for 100m water resistance. 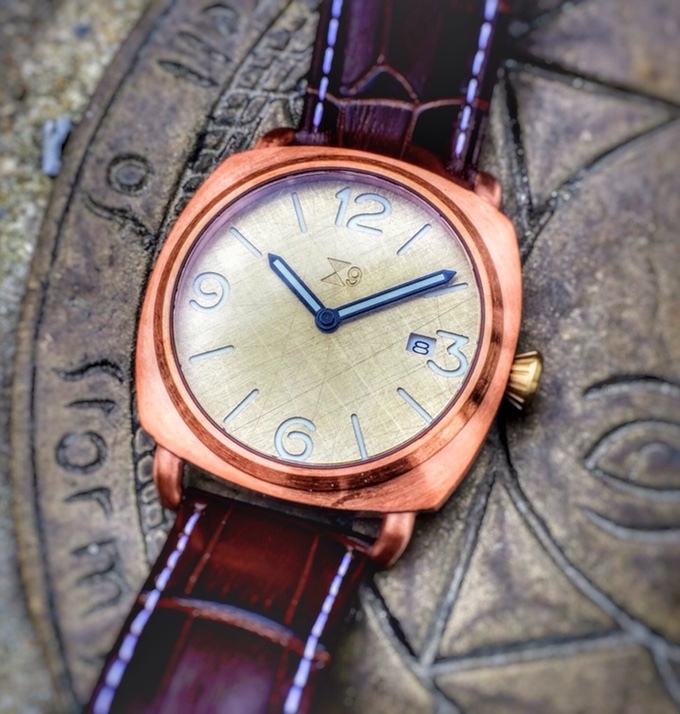 Buyers may choose from several sandwich dials: Arabic numbers in brass, brown, or green fade; and black or brass California. Each has a layer of SuperLume beneath. Crowns are black or brass plated. I'm digging the green, but the raw and scratched brass has some serious charm. Best of all, this watch is crazy cheap; early bird rewards start at only $206 USD.